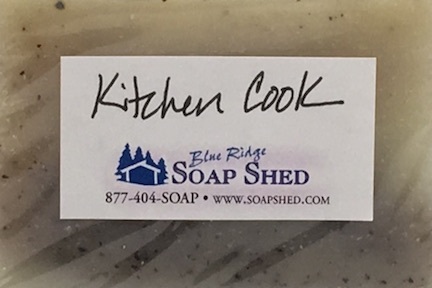 Our Kitchen Cook Soap has a purpose and place - to remove kitchen oils and food odors from your favorite cook's Hands - maybe that's you? Our Kitchen Soap moisturizes too. Especially effective with garlic, onion and fish odors! Barbeque cookers at the North Carolina Barbeque Festival in Tryon, North Carolina stock up every year because they swear it also removes smoke odors from their arms and hands. 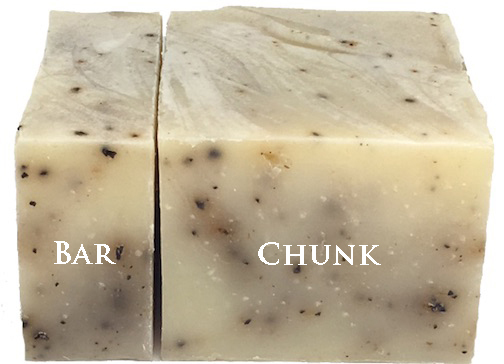 Made with Sweet Orange Essential Oil to cut grease, along with ground coffee beans for their ability to help break up grease and oils on the surface of your skin, this soap will absorb kitchen odors from a kitchen cook's hands. Our Kitchen Soap is for Cooks everywhere and kitchens everywhere: homes, restaurants, festival circuit. 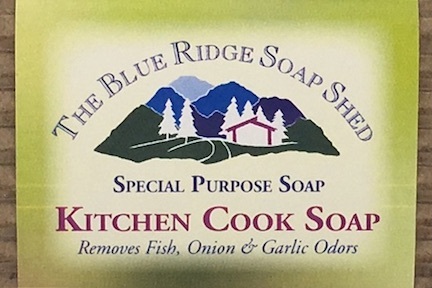 Whether you call it a kitchen soap or a cook soap, this soap has a purpose and a place, and has been one of our Top Ten soaps since 1998. Remember, that as far as our kitchen soap is concerned, YOU are the kitchen soap dispenser! The liquid soaps in a kitchen soap dispenser are filled with chemicals that keep the soap in liquid form, which only serve to further dry out your hands already desparately seeking moisture! So we recommend that you avoid liquid kitchen soap and liquid kitchen soap dispensers, and stick with our solid soap bars instead! 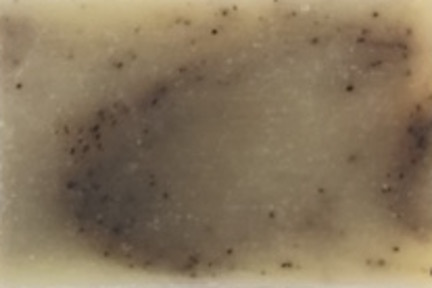 The ten seconds of 'work' that you do to to agitate the soap lather is also dislodging the oils and odors on the surface on your skin....while not stripping your hands of the natural oils they need.